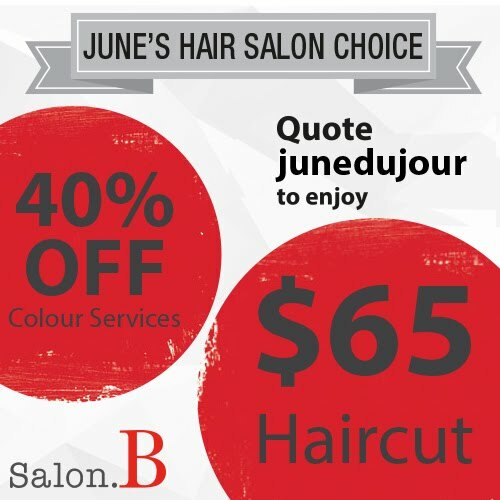 Iprice Singapore: For the best discount savings! Ask anyone, and you'll find out that I'm probably one of the most avid shoppers around and I could never pass up a good bargain. But with prices increasing for everything these days, how is it still possible to get savings at all? 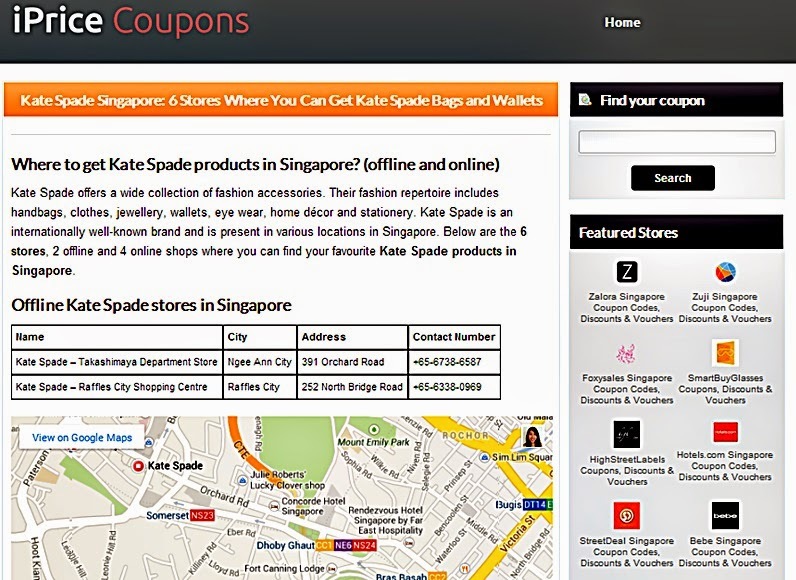 Introducing iPrice Singapore, a couponing website founded in September 2013. An entirely free service available to everyone, iPrice helps online consumers to save money while they shop. Available in various Southeast Asian countries including; Malaysia, Philippines, Hong Kong, Vietnam, Brunei, Singapore, Thailand and Indonesia means that you can enjoy great savings at a number of places! But iPrice Singapore offers more than discounts to buy fashion accessories. 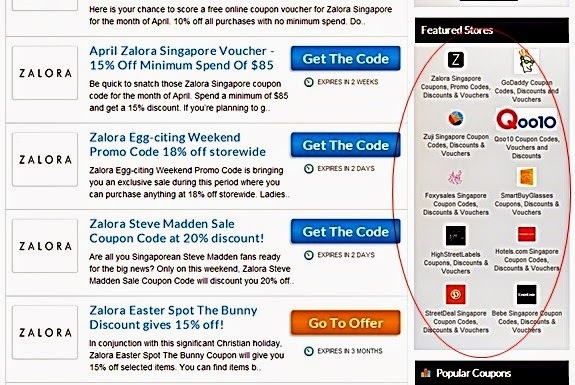 If you browse through the list of coupons that is offered by iPrice Singapore, you will see that there are vouchers for: Hotels.com, Zalora, StreetDeal, Valuebasket and Expedia... the list goes on! On top of valuable fashion store discounts, iPrice also helps you get great deals on hotel accommodation, trips across Europe, beauty products as well as electronics. So which ever it is - shopping, travelling, eating, beauty products - iPrice has got you covered. Love shopping online from the convenience of your own home, or don't have time to shop during the day because of work? Then you will definitely love shopping iPrice. And as opposed to many websites and physical stores which provide discounts only for Christmas, Chinese New Year or New Year's Eve, iPrice Singapore works tirelessly to provide you free coupons on a regular basis! So remember to bookmark the iPrice Singapore website to grab some free coupons and stay updated on the latest deals! Its simple. 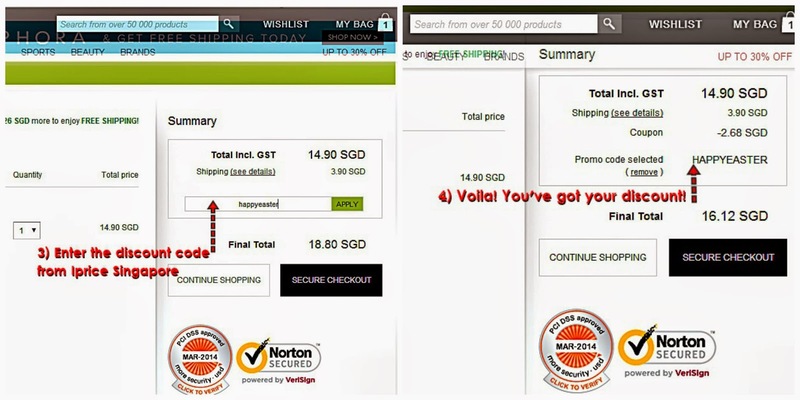 iPrice Singapore's website layout is clear and easy-to-use, with concise instructions and the coupons displayed and categorized prominently on the homepage. 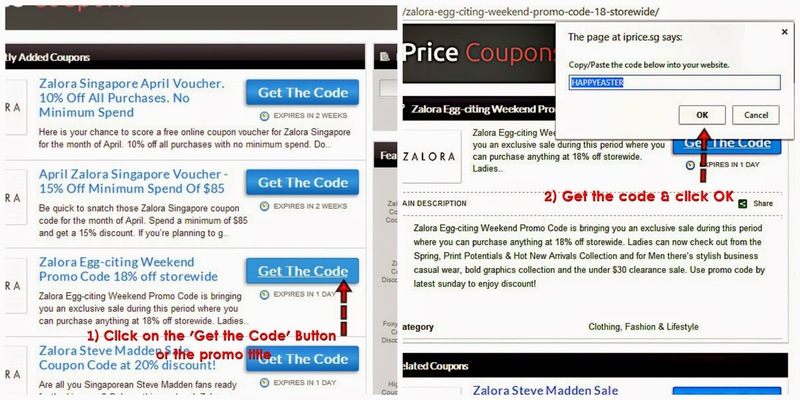 Customers simply need to copy and paste the link of the coupon from iPrice Singapore to the checkout box where they are shopping (below). 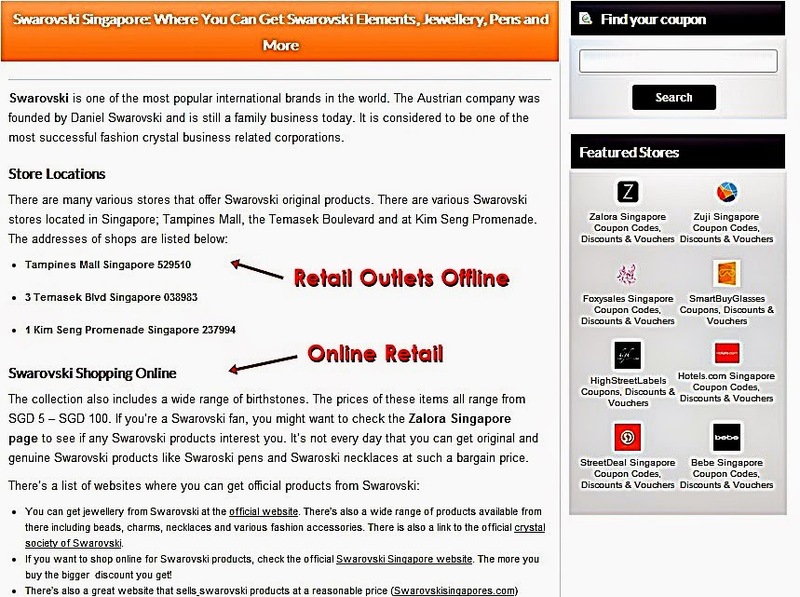 Plus, iPrice Singapore has also a dedicated section allocated to blogs. 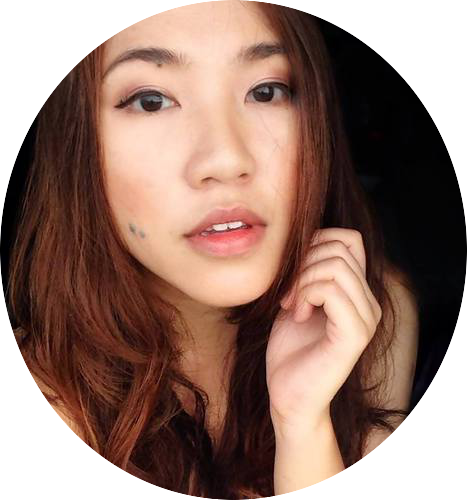 The blog features various topics which ranges from lifestyle, travelling tips and fashion. If you have free time on your hands, the iPrice's blog is a definite must read. Kate Spade has got to rank as one of my favourite brands of all time. Gaining fast popularity in Singapore, the brand has since acquired thousands of fans. If you're planning on buying products from Kate Spade, the Iprice blog actually provides handy tips on where to buy Kate Spade products online and in brick-and-mortar stores! 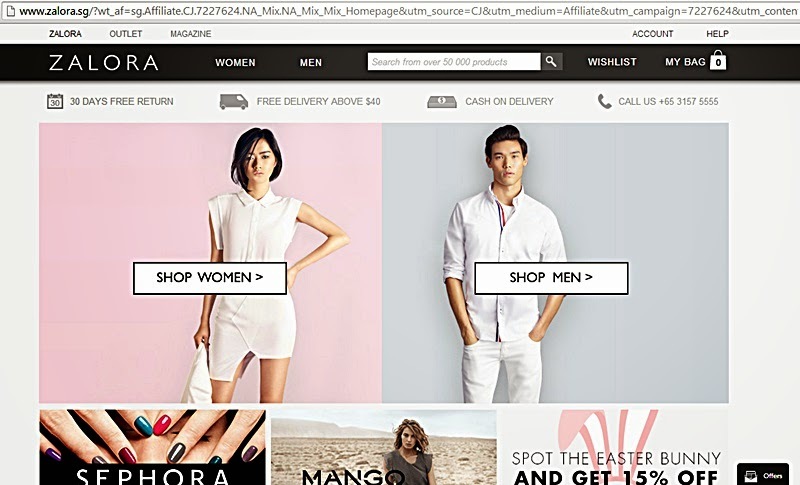 They also provide useful content when it come to other fashion brands brands and online shopping tips. 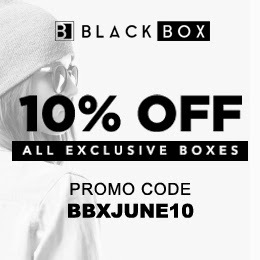 iPrice Singapore is focused on helping Singaporeans shop online for the best fashion products at the best prices possible, staying on the pulse by dishing out discounts on a regular basis. After all, why should one wait for special occasions to buy nice clothes or shoes? Zalora Singapore is one of the best examples; where you can get that coveted Nike or Adidas products amongst the multitude of great brand offerings such as Swarovski, Cheap Mondays, Mango, American Apparel and G-Star. And when you have so much sartorial choices up for grabs, iPrice is the perfect place to find the best possible vouchers for Singaporean consumers to benefit from everyday discounts. Check out iPrice today & get a bundle of great savings today!